Governor Gavin Newsom will reassign roughly 110 troops to beef up California's fire preparation efforts ahead of the next wildfire season and expand the guard's counterdrug task force program. California Gov. 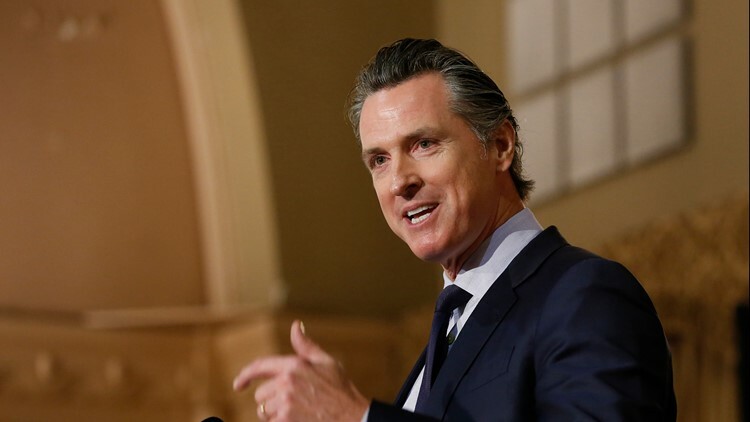 Gavin Newsom plans Monday to withdraw several hundred National Guard troops from the state's southern border with Mexico in defiance of the Trump administration's request for support from border states. Newsom's move comes on the heels of New Mexico Gov. Michelle Lujan Grisham, also a Democrat, pulling back her state's troops from the U.S.-Mexico border. The two state's former governors agreed to send troops to the border last April at the Trump administration's request along with Texas and Arizona. Newsom's and Grisham's actions are a fresh, if symbolic, affront to President Donald Trump's description of an immigration crisis on the nation's southern border. Newsom will reassign roughly 110 troops to beef up California's fire preparation efforts ahead of the next wildfire season and expand the guard's counterdrug task force program. The expansion of the counterdrug task force requires approval from the U.S. Department of Defense. "This will not be a mission to build a new wall," Brown wrote at the time in a letter to Trump administration officials. "It will not be a mission to round up women and children or detain people escaping violence and seeking a better life. And the California National Guard will not be enforcing federal immigration laws." Newsom's Monday order will argue that the increase in Central American migrants crossing over the border is the result of a desire to escape violence and repression fueled in part by the activities of transnational crime organizations. The California guard's resources are best spent tackling those activities, he plans to argue.